This last weekend we finally had at least half of a whole weekend to ourselves that didn’t involve any prepping for shoots, friend-dinner obligations or family get-togethers. Gosh, it was so nice to have an obligation free day to wake up late, be totally lazy, and work in the garden. It’s days like these that we realize how lucky we are to have amazing jobs and be surrounded by those we love because they keep us busy. But at the same time, when we have our down-time we cherish every moment of silence. And best of all? No emails to have to answer. That alone is a luxury. Walking through the garden this last week was really was eye-opening because we saw new life, leaves, buds, flowers and birds that we missed over the last few weeks. 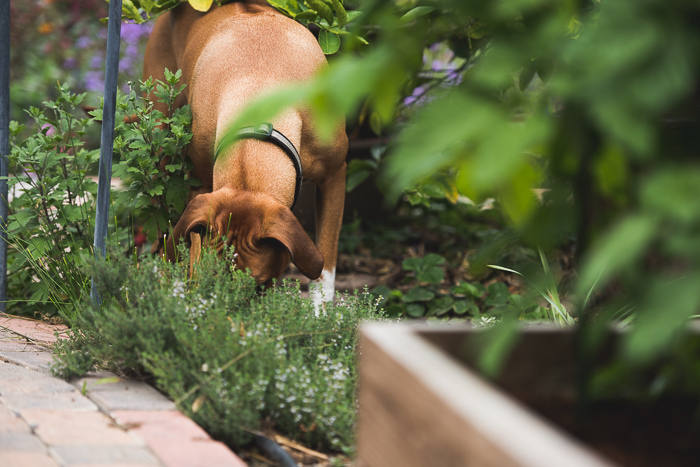 It was so nice to see all the changes that Spring has brought and that meant spending the whole weekend tending to garden duties that we love so much.Gardening isn’t always an easy, casual day. In fact, it’s quite hard work and at the end of the day, we’re starving. Our bellies are grumbling from all the calories we burn from tree trimming, weeding and planting. 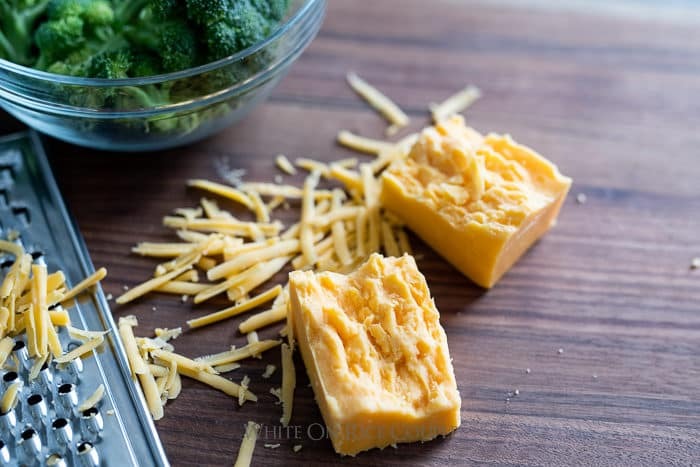 So we pretty much ate the first thing that we saw in the fridge: broccoli and cheddar cheese. These two ingredients are always in our fridge. They’re our go-to ingredients. 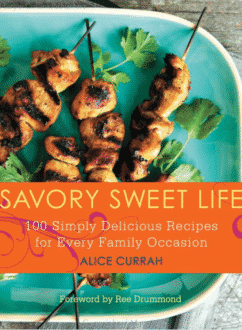 Grilled broccoli, roasted broccoli, stir-fried broccoli, florets in soups, you name it, we eat it all the time. Cheddar cheese is always one of our quick snacks when we’re getting hangry so there’s always a block of nice cheddar waiting to be devoured. We pretty much love anything broccoli and cheese, so it was appropriate to make it for a hearty post-gardening dinner. There’s really nothing complicated about this recipe. 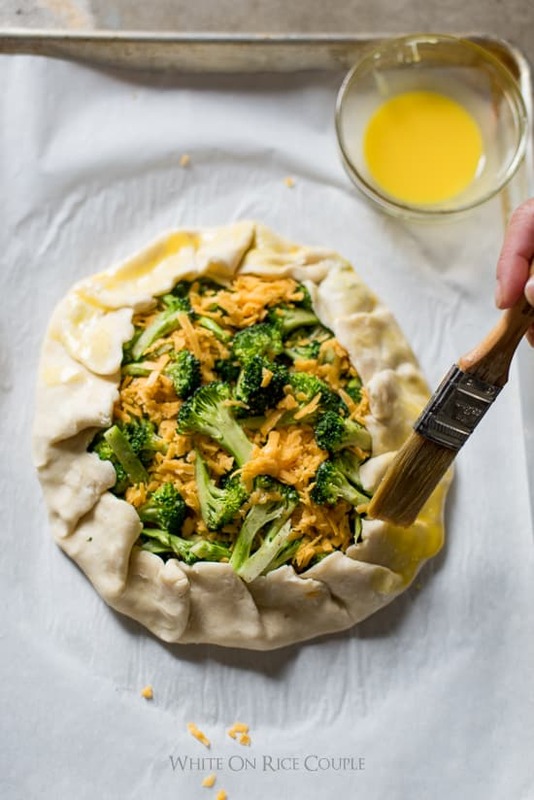 It’s our love of broccoli and cheese, baked in our easy galette recipe for a fancied-up version of a savory pie. It’s super delicious. 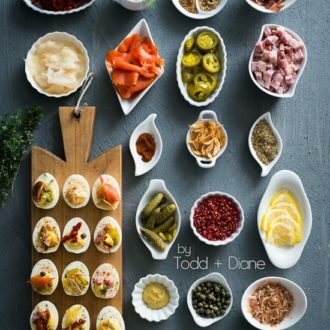 You might want to make it all the time and if you’re feeding you friends, it’s a great way to make a fancy meal with the most humble of ingredients. 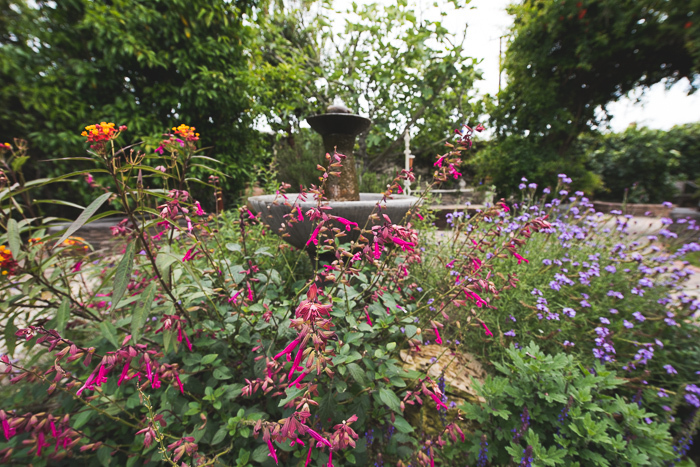 Our garden is enjoying Spring! The wildflowers around the bird fountain are going nuts. Crazy nuts. 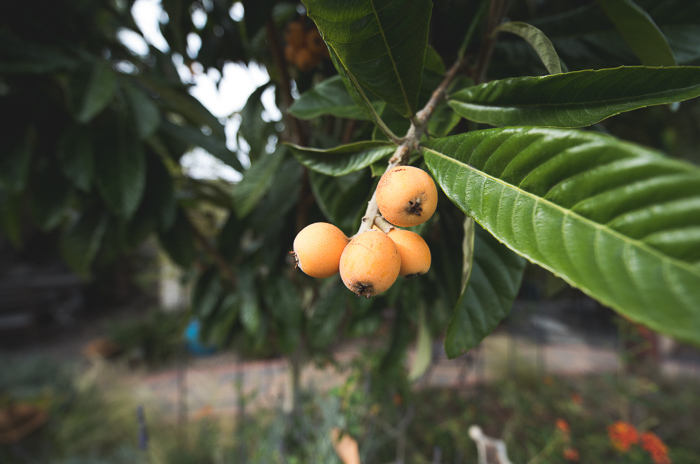 We have a ton of loquats. Well… had. The birds love even more than we do, but at least we had enough to share. Our Japanese maple is not dead! We finally figured out the best place in the garden for shade. It’s happy. Sierra, why are you so mad? It’s only a pic. 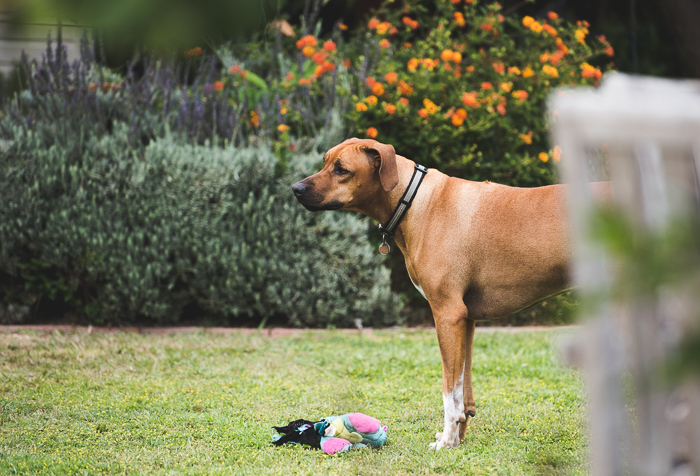 Or did Lexi take your toy? 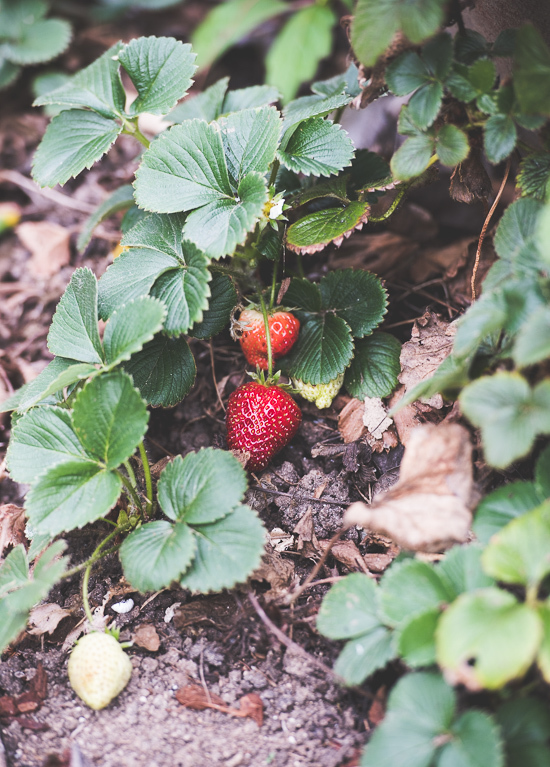 Lexi is always foraging, but Spring means eating all our garden strawberries. Save some for us! She missed some. Two for us. 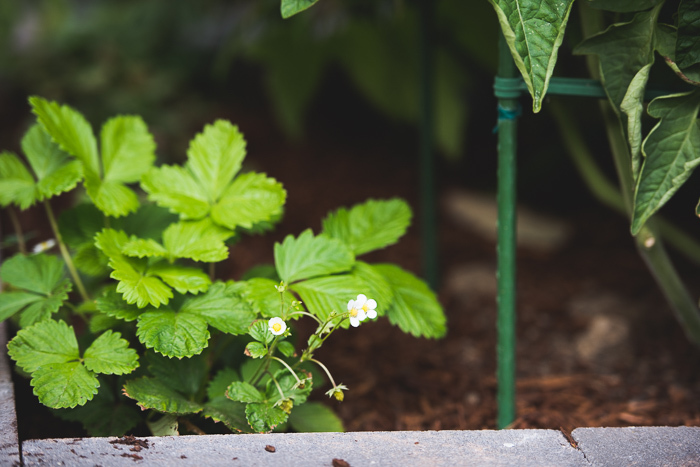 The alpine strawberries are coming up again. Will someone play with me? 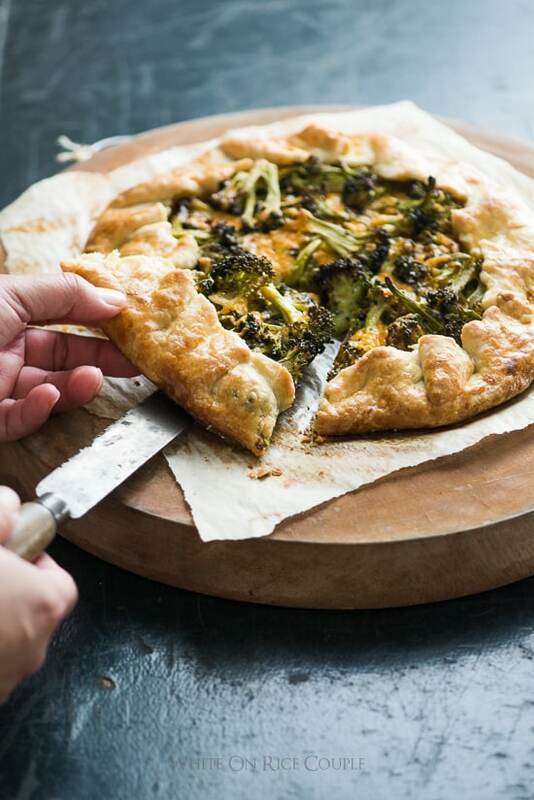 We like to char our broccoli before it goes into the galette because we like the crispy edges of broccoli. 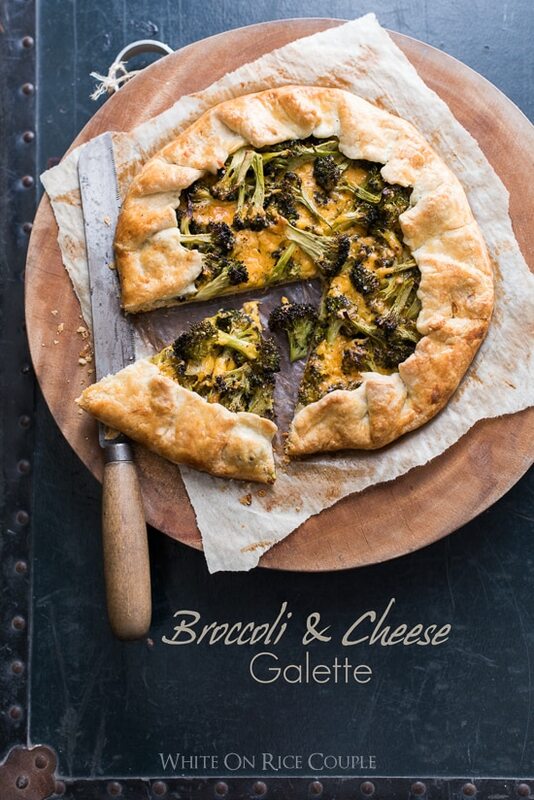 If you like your broccoli more tender, then just toss the raw broccoli with the olive oil then add it to the galette. This will bake the broccoli to a nice tender texture without the crispy black char. If you do this method, then make sure to cut your broccoli small enough so that it cooks tender during the baking. Make the crust: In a bowl, pinch together the flour, butter, sugar, and salt with your fingertips until most of the big chunks of butter are flattened or broken up and there is no remaining dry flour sections. Incorporate the enough of the cold water into the flour until the mixture binds together and forms a rough ball. Knead the ball just until the dough begins to become smooth. Don't overwork the dough or else it will become tough. Roll the dough into a ball, and then flatten into a disk. Wrap in plastic wrap and chill for at least 30 minutes (can be chilled overnight or frozen for future use). Make the filling: Heat a large skillet over medium-high heat. Add the oil and then add the onion, cook for a minute or so, and then add the broccoli. Cook for 3-5 minutes or until tender and bright green. Season with salt and pepper and set aside. Make the galette: Preheat the oven to 375°F (190°C). 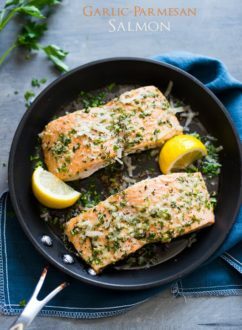 Line a baking sheet pan with parchment paper. On a floured surface, roll the disk out to a circle about 12 inches (30-cm) in diameter. Gently transfer the dough onto the prepared sheet pan. 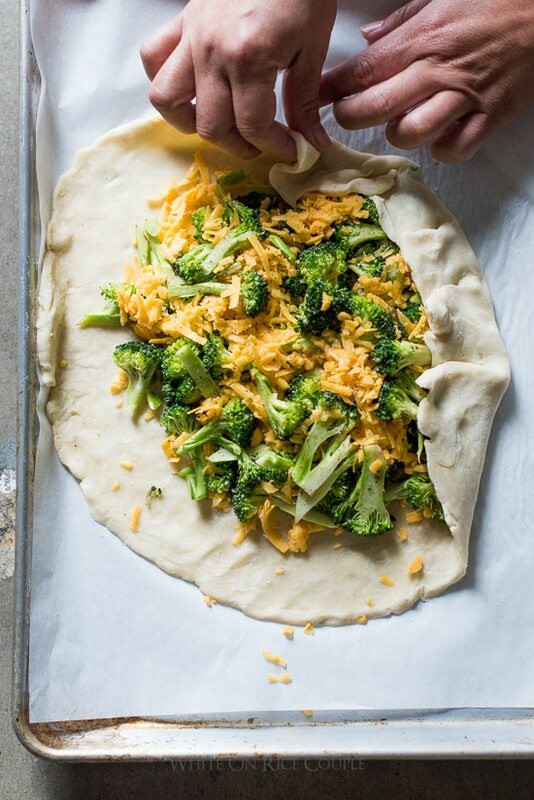 Put the broccoli mixture and grated cheese in the center of the dough circle. Spread out to within about 2 inches (5-cm) of the outside edge. Fold the edge of the dough over the filling, creasing and folding until completing the circle. Brush the crust with the egg wash or heavy cream. Bake for 50 to 60 minutes, or until the crust is golden. Serve warm or at room temperature. How far in advance can I made the dough? 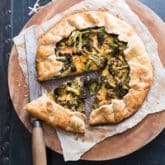 A galette like this sounds like the perfect meal! I’m love this! I love this galette. My French grandmother used to make a galette for lunch using any leftovers she could find. What happy memories this post brings back.